Any Leaf fans from the 1960s knows how important Johnny Bower was to the Leafs and their 4 Stanley Cups. 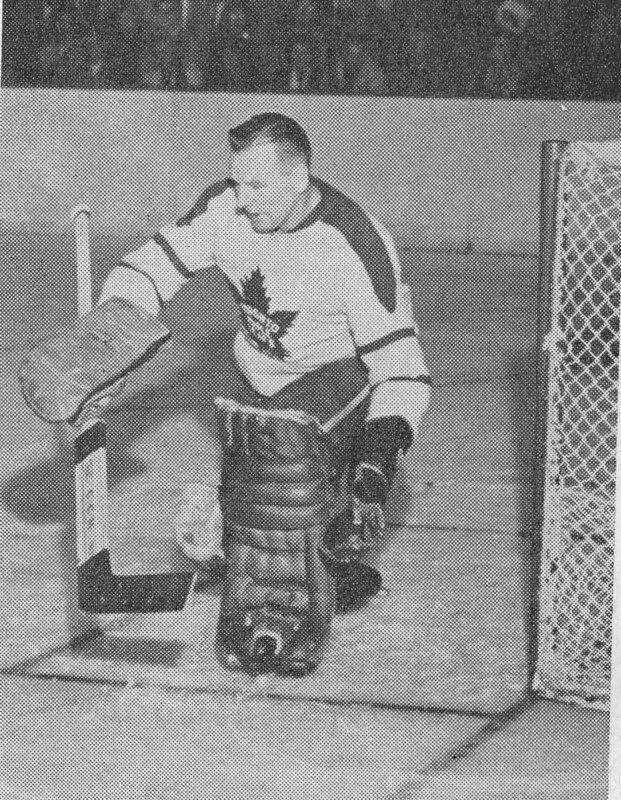 While he was actually only in the net in the deciding game for 2 of those Cups (Don Simmons played in game 6 in Chicago in 1962 and Terry Sawchuk held down the fort in the last game of the 1967 final against Montreal), there is no question that without Bower, none of those Cups was likely to happen. But for all of Bower’s great and glorious moments, and there were many, one thing that stands out for me in his wonderful career is….a loss. It was the last playoff game he ever played for the Leafs. In fact, if I’m not mistaken, it was the second-to-last game he ever played for the blue and white. That playoff game has been locked into my memory bank since the spring of 1969. The Leafs had really struggled in the two seasons after their 1967 Cup. They didn’t transition well to the new expansion area, even though General Manager and coach Punch Imlach tried to infuse new blood into the line-up (Walton, Ellis, Selby, Carleton, and defensemen like Ley, Dorey, McKenny, Quinn and Pelyk were all given a shot…). But players who had contributed significantly to the ’67 championship like Mahovlich, Stemkowski, Sawchuk and Baun were gone. Allan Stanley left before the ’68-’69 season. Essentially, the Leafs were either too old, or too young or too small- especially with the the way the league was going, where size mattered in the early expansion days. When they faced the Bruins in the first round of the 1969 playoffs, the Bruins were a team on the rise. They had Bobby Orr, of course, but Phil Esposito was also becoming the top scorer in the league, Ken Hodge was a big, young winger playing his best hockey. Derek Sanderson was another edgy, young impact player. And they had a ton of scrappy, skilled guys like Johnny McKenzie, Fred Stanfield and Eddie Westfall who were strong two-way players. Back in Toronto, the Leafs were much more competitive, losing game 3 by a score of 3-2, I think it was. 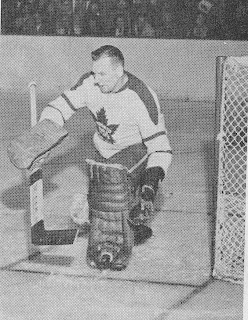 Bruce Gamble had played the first three games of the playoffs in goal for Toronto, and Punch Imlach, in what turned out to be his last major decision as Leaf General Manager and Coach, decided to play Bower (who by now was probably 44 years of age) in net for Game 4 at the Gardens. I remember watching the game on our old TV and that Bower played well, very well, actually, in thwarting the Bruins’ powerful offensive attack. That said, it still stings (I wanted so badly as a young 15 year-old fan for the Leafs to win at least one game in the series, and not get swept) that cocky Derek Sanderson scored a nice wrap-around goal from behind the net well into the third period. I believe it broke a 3-3 tie and was the winning goal as the Leafs ended up on the short end of a 4-3 score. Still not wearing a mask, Bower was great in Game 4. But the Bruins swept the series in 4 games. Right after the game, Leafs owner Stafford Smythe fired Imlach. It was the end of a hugely important era in Maple Leaf history. Bower stayed on for one more season with the Leafs, though he played only one regular-season game in an injury-filled 1969-70 schedule. I believe it was a 5-1 loss against Montreal, and was the only game in his Hall-of-Fame career in which he (finally) wore a mask at the age of 45. But on that spring night in 1969, Bower showed that he could still play with the best, in the playoffs, even at an age when most players had long since retired. I’ll always remember it, just as much as I remember the nights he was so good in helping the Leafs win those four Cups.